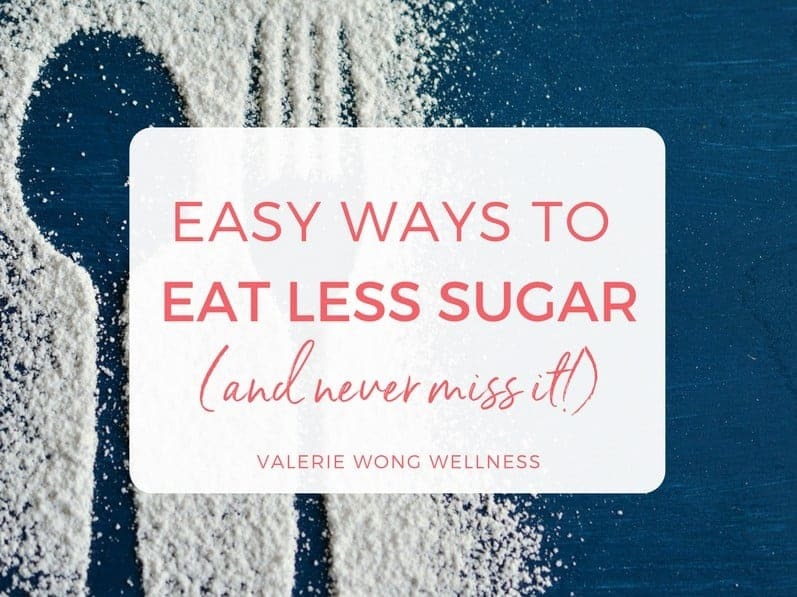 If you’re trying to eat less sugar, try these easy ways to cut sugar from your diet. You’ll never miss it, and you’ll feel better and be more productive. If there’s one absolute in the world of nutrition, it’s that sugar is bad for us. Boo . . . that’s a real bummer for someone like me who has a serious sweet tooth. Sugar is legit addictive, and it can be really hard to break the habit once you’re hooked. Here are just a few of the ways sugar can negatively affect you . . .
All things that you (and I) don’t want any part of! But with all that, I do still eat sugar. I just try to minimize the amount I eat as much as possible (I do better some days than others). The good news is I’ve found some easy ways to cut a lot of sugar out of your diet, and you’ll hardly even miss it. 1. Stop drinking fruit juice. I know it seems like it should be good for you, but fruit juice (even if it’s 100% juice) is loaded with sugar. All the fiber has been removed and it becomes basically sugar in liquid form. 2. Avoid hidden sugar by reading the labels on everything you buy. You’ll be amazed where sugar can be hiding in your diet — even in foods that are supposed to be healthy. Here’s just one example — spaghetti sauce. I’ve seen spaghetti sauce range anywhere from 3 grams of sugar per serving to 20 grams. That’s a BIG difference and 20 grams is a LOT of sugar (especially if you’re not even getting a sweet treat out of it . . . mmm . . . like a cupcake)! When you’re checking the amount of sugar in foods, make it a goal to keep the sugar content to under 9 grams per serving. 3. If you eat trail mix, granola, or protein bars for a snack, replace them with plain nuts or seeds. The food manufacturers market these as healthy snacks, but they tend to have a LOT of added sugar. I like to keep raw almonds and raw pumpkin seeds on hand for a snack or a quick breakfast when I’m short on time. 4. Don’t drink alcohol during the week. Now, I love some Prosecco or a good craft cocktail and I’m not quite ready to give them up (maybe one day), so my compromise with myself is to only drink on weekends. Unless it’s a special occasion or I’m on vacation, I generally don’t drink anything during the week, not even a glass of wine with dinner. 5. Only buy natural nut butters (like peanut butter and almond butter) that have no added sugar. In some natural grocery stores you can grind it yourself, which is even better because then you don’t get that annoying layer of oil on top that has to be mixed in. 6. Don’t eat cereal or flavored instant oatmeal for breakfast. Cereal is a processed food and it’s usually full of sugar and artificial ingredients. Ditto for most flavored instant oatmeals. Instead, make your own healthier oatmeal (making overnight oats is a real timesaver) or try something like chia seed pudding, which you can also make ahead. 7. Replace refined white sugar with more natural sweeteners. I have to give a caveat to this one . . . sugar is sugar is sugar, so even natural sweeteners aren’t good for you and should be used sparingly. Again — these are all still sugar, so use sparingly! By following these tips, you can cut a lot of sugar out of your diet without even missing it. You’ll feel better, get more done, and look better doing it! And I don’t know about you, but If I’m gonna eat sugar, I’d much rather get it from a cupcake than spaghetti sauce! Another way of cutting back on sugar? Crowd it out of your diet by loading up on healthy whole foods. 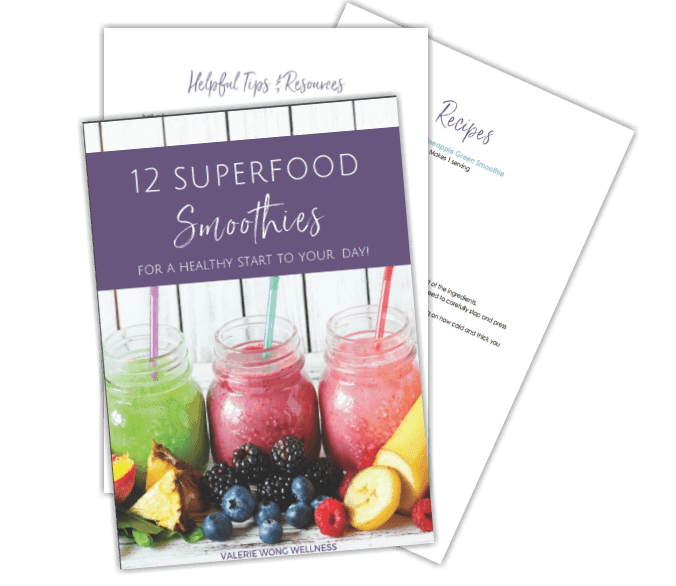 Try these quick and easy whole food recipes to help you get started (there are even some healthier desserts in there!). . .